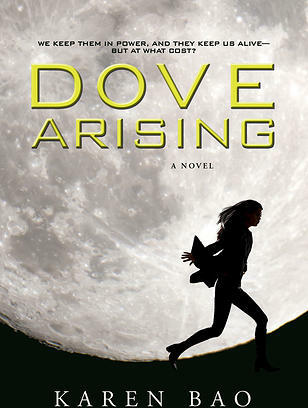 Columbia University student Karen Bao’s science fiction novel Dove Arising was published by Penguin Random House in February 2015. Bao’s story concerns a 15-year-old named Phaet Theta who joins a paramilitary force to save her family. The story takes place 200 years in the future on the moon. As Bao continues to pursue her career as an author, she finds balancing her undergraduate studies at Columbia University a welcomed challenge. Bao is part of a growing trend of Asian American women authors and writers such as Celeste Ng, who is the author of Everything I Never Told You. Ng has begun to compile a list of just some of the other Asian American women authors. “We definitely have a lot of stories as an Asian American community, and I think some of us definitely have to speak up and get our work published,” Bao said. Today is the start of Sundance Film Festival in Park City, Utah and for the lucky attendees, that means snow, parties and most importantly, tons of movies to watch. Here at Audrey we have highlighted the Asian and Asian American films premiering at Sundance this year, but we wanted to give a special spotlight to the film Advantageous which is directed by, written by and starring Asian American women. Because the amount of working female directors hasn’t increased since 1998, and the fact that “moviegoers were as likely to see an other-worldly [non-human or alien] female as they were to see an Asian female character” in 2013, we are heartened by the amount of roles Advantageous provides for Asian women both in front of and behind the camera. Sundance has already uploaded a video highlighting Advantageous writer and director Jennifer Phang, who briefly discusses her film. While Advantageous takes place in a sci-fi future, the emphasis of the film seems to be motherhood, parental sacrifice and what it means to be selfless. So if you are lucky enough to be at Sundance, check out Advantageous! For the rest of us who can’t, we hope that we can see Advantageous in a theater near us very, very soon. We decided to look into how Asian Americans handle breast cancer. We were shocked by what we discovered. For years now, Asians have been comforted by the fact that we have the lowest rate of breast cancer in the United States. Unfortunately, this assurance may be the very thing that hinders us from taking the necessary precautions. Studies from both the CDC (Center for Disease Control and Prevention) have confirmed that Asian/Pacific Islanders have the lowest breast cancer rates. There are various types of Asians. It is not a good idea to assume you’re safe from breast cancer simply because you’re Asian. In fact, the statistics greatly differ once we take a step closer. According to womenshealth.gov, Japanese American women have the highest rate of breast cancer among Asian Americans. Furthermore, breast cancer is the leading cause of death for Filipino women. Clearly, there are technicalities within the broad term “Asian” which should be paid attention to. Sure, we have the lowest rate of breast cancer and breast cancer deaths now, but that may be changing. Our rates are increasing faster than any other ethnic group. From 1988-2005, we’ve increased approximately 1.2% every year. Some of us are not as safe as our parents and grandparents. We develop breast cancer at a younger age. Compared to the other ethnic groups, we develop cancer at an earlier age, but we don’t know to address it earlier. In fact, many of us don’t address it at all. Asian Americans are the least likely to ever get a mammogram. Although Asian Americans need to take just as much precaution, we have the lowest rate of screenings. Is it because it’s taboo in our culture to discuss this issue? Is it because of the misconception that we’re relatively safe from breast cancer? Either way, there is clearly a lack of breast health/breast cancer education, screening and treatment among Asian American women. Studies confirm that only 62% of Asian American women 40 and older have had a mammogram in the past two years. This is still the lowest percentage compared to every other ethnic community in America. This is usually followed by an intense stare as the person, most likely a dude, is trying to figure out if I’m Chinese, Thai, Korean, Japanese, or something else “exotic.” When I say New Jersey (the most exotic of the states), this leads to question #2. 2. No, really where are you from? Let’s get to the point. You want to know where my family is from. Taiwan. Are you happy now? Where are you from? Because I’d really like to know so I can avoid going there. 3. I really like Asian women. Let’s get married then! Who cares if we have nothing else in common? All that matters is that you love Asian women! Oh, you know who else likes Asian women? Everyone. Because we’re awesome. 4. I need more napkins. Just because I’m walking by you in a restaurant, don’t assume that I work in that restaurant. 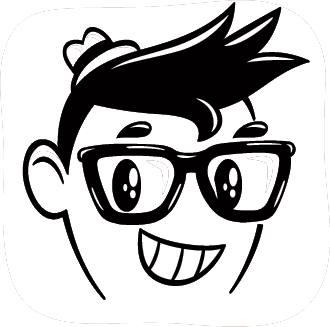 Are you shocked to know that not all Asian people work in Chinese/Thai/Vietnamese restaurants? Because it’s true. We don’t all work on your nails, your dry cleaning, and your $15 Asian fusion tacos. 5. I have no idea how to use these things [waving around chopsticks]. 6. I just love geishas. Great! I really love firemen. They’re hot. But if I wanted you to don a fireman’s uniform, ride in a big red truck, and slide down a pole for me, I doubt you would do it. So don’t ask me to dress like a geisha, bow down, bat my eyes, and dance for you. Not gonna happen. Unless you’re an actual fireman. 7. Hi, [insert name of another Asian lady]. Seriously, we don’t all look alike. Learn to tell us apart. If my name is Jennifer Chen, it doesn’t mean I’m related to Annie Chen. John Smith is not related to Helen Smith. We are different people. Unless this is an Orphan Black situation, then we’re all the same people. 8. Konichiwa or Ni Hao Ma. Stop chasing me around and speaking bad Japanese or broken Chinese. If you stalk me down the street, saying “good morning,” to me in Japanese, then follow me into Staples where I’m buying gel pens, and ask to marry me because you really like Chinese women, then I can’t help you. And your pronunciation is awful, so I suggest you fix that first. You can work on the rest later. Without me. SAYONARA! 9. CAN YOU UNDERSTAND WHAT I’M SAYING? DUDE, I speak better English than you do. Stop shouting and speaking slowly to me as if I’m illiterate. You sound dumb. 10. I hear Chinese people eat dogs. 11. Can you figure out the tip? I know you think I’m a wizard at math. (Eye roll.) I got a 45 on my calculus final in high school. That’s barely half right. But sure, let me figure out the bill. I owe zero dollars. Thanks for dinner! 12. You have lovely almond-shaped eyes. I love me some Claudia Kishi from The Baby-Sitters Club. She is my spirit animal/imaginary friend. But if I have to read one more time that Claudia or any other Asian woman has “almond-shaped eyes,” I’m going to smack everyone.